A typical Kūčios dinner table. On this special occasion of the year, all living members of the family get together to enjoy each other, and to remember those who have departed. Kucios (pronounced Koochios) is the name of the day before Christmas in Lithuania (and among Lithuanians scattered everywhere). It is also the name of the traditional Christmas Eve dinner. This meal is similar to the twelve-dish Christmas Eve supper served in other countries in the Baltic Sea area. It is a family occasion which includes many traditions of both pagan and Christian origin. 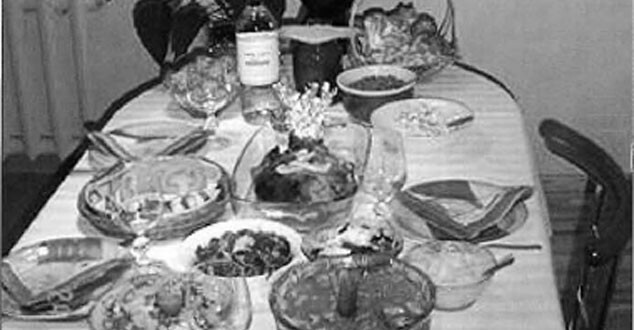 The name of the feast may be related to the traditional Christmas Eve meal kutia. Everyone in the family makes a special effort to come home for the Christmas Eve supper, even from great distances. They make the journey not so much for the meal as for the sacred ritual of Kucios. Kucios draws the family members closer, banding everyone together and strengthening the family ties. In this spirit, if a family member has died that year or cannot attend the meal (only for very serious reasons) an empty place is left at the table. A plate is still placed on the table and a chair is drawn up, but no spoons, knives or forks are set. A small candle is placed on the plate and lit during the meal. It is believed that the spirit of the deceased family member participates in the Kucios along with everyone. Preparing for Kucios is an all day event, though the preparations can begin up to a week in advance in some communities. O n Christmas Eve, the entire house must be thoroughly cleaned and all of the bed linens must be changed. Everyone attending Kucios must bathe and dress in clean clothes before the evening meal. Before gathering at the ritual table, everybody makes up with their neighbors and forgives their enemies. The twelve dishes for the evening meal, and the meal for the first day of Christmas are prepared during the day. Traditionally, people fast and abstain from meat for the entire day. While the Catholic Church has decreed that food may be eaten as often as desired on Christmas Eve, most Lithuanians still adhere to the original custom of abstinence. Before they changed their stance, Catholics could only eat a handful of boiled peas and water on Christmas Eve with exceptions allowing small children, the sick or very old persons to eat a bit more. This tradition is still followed by many Lithuanians. Although official fasting no longer exists, most Lithuanians refrain from eating meat on Christmas Eve so as to preserve tradition. Regardless of what is consumed during the day, it is vitally important that the Christmas Eve dinner include no meat dishes because it would then no longer be called Kucios but an ordinary meal prepared for any other evening. For the Christmas Eve dinner, the table is prepared in a special way. A handful of fine hay is spread evenly on the table which is a reminder that Jesus was born in a stable and laid in a manger on hay. The table is then covered with a pure white tablecloth, set with plates and decorated with symbols of nature, which sustain the human world according to pagan beliefs. These include fir boughs, candles, and a bundle of un-thrashed rye, which traditionally pagan families would bind around an apple trees the next day. Live flowers are not appropriate for the table, in particular the red or white poinsettias that are so common in other countries in the Christmas season. Before the meal starts, the family shares kaledaitis wafers, also known as plotkele, paplotelis’ or ploktainelis, depending on the region of Lithuania a family is from. A plate with as many wafers as there are persons participating in the meal is placed in the center of the table. 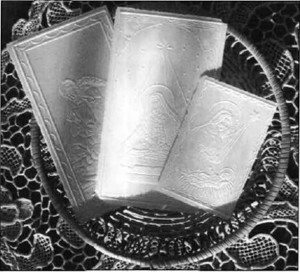 These wafers are usually rectangular in shape and very thin; they are identical in composition to the Holy Host used during a Catholic Mass. In some Lithuanian regions these wafers were called Dievo pyragas (“God’s cake”) because they were originally obtained from the parish and were imprinted with Biblical scenes of Jesus’ birth. Today the wafers still have Christmas related., images on them varying from the nativity scene to the Star of Bethlehem. The head of the family, typically the father or the oldest person present, takes a wafer and offers it to a family member wishing him or her a happy Christmas. The family member responds, “God grant that we are all together again next year,” and breaks off a piece of wafer. The family member then offers the head of the family a piece of their wafer in return. The head of the family then offers his wafer to every family member or guest at the table. After that, everyone exchanges greetings and pieces of wafer. Care is taken not to skip anyone, for that could mean terrible misfortune or even death the following year. In breaking a piece of wafer, each tries to get a piece larger than that remaining in the other’s hand for it means his year will be better. The person holding the wafer tries to prevent a large piece being taken, for this will “break his luck.” W hen everyone has exchanged wafers, all family members take their pile of wafers before the head of the house. He then looks of the wafers in the members hands and reads their fortune from how they are assembled. After this has been completed, people return to their seats and the wafers are eaten. In certain Lithuanian regions apples were placed on the table because December 24th is the feast day of Adam and Eve. The apples recalled our first parents through whose sin mankind fell and that the world was saved through the submissiveness of the New Eve Mary, the Mother of God to God’s will. If apples are placed on the table, the mother takes an apple after the wafers have been shared, cuts it into as many pieces as there are family members and gives the father the first piece. This symbolized the fall of the first parents when Eve gave Adam the apple which he took and ate. Then, the apple pieces are distributed to those at the table. The reason for there being twelve separate dishes varies between pagan and Christian beliefs. The pagans practiced Kucios traditionally with thirteen different foods. The thirteen different dishes represented the thirteen lunar months of the year. However, under the influence of the solar calendar, the number changed to twelve. Christians have different beliefs, but it is not hard to see how the pagan beliefs could have been adapted by missionaries or monks. For Christians, the twelve different dishes served on the table represent Jesus’ twelve apostles. The evening meal consists of twelve very specific dishes. There can be no meat or dairy products. Typical dishes include fish, vegetables, fruits, and bread. Silke is the name for herring, a type of fish which is served with different sauces. The sauces can be tomato, mushroom, or onion based. Ungurys, or smoked European eel, is also a common dish. Baršciai is a beet soup cooked without meat (vegetable oil can be used). 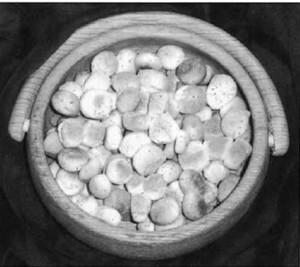 Other common dishes include boiled or baked potatoes, spanguoliu kisielius (cranberry pudding), cooked sauerkraut (prepared without meat), mushrooms, kuciukai or šližikai (bite-size hard biscuits) with aguonu pienas or aguonpienis (a poppy seed milk), and multigrain breads with honey and margarine because butter is not allowed being a dairy product. Everything served at the meal should be made from ingredients available in Lithuania during the winter. This is because the people whose lifestyle produced the Kucios traditions made do with food prepared in the summer and fall: dried, pickled and otherwise preserved for the winter. The meal is traditionally served with water, homemade cider, or fruit juice. Everyone is expected to eat some of each dish served; whoever skips a Kucios dish will not survive to see the next Christmas Eve. Leaving the table before everyone has finished eating is also considered unlucky; the first to rise while another is still eating will be the first to die. The meal is eaten leisurely but solemnly, there is little conversation or joking. • A stem of hay is pulled from under the tablecloth. It cannot be chosen; the first one the fingers . encounter must be drawn. The person with the longest of the drawn straws will live the longest life, while the person with the fattest straw will have the most fulfilling life. A bent straw indicates the holder will have a turn in their life, while a straw with a fork in it indicates many decisions to come in the following year. If a long, slender stalk is withdrawn, the girl can expect a tall slender husband; while a short, fat, bent stalk means a short, fat, crooked husband. If this happens to a man, his future wife will be slender and tall or fat and short like the straw drawn. Married persons can also guess next year’s happiness from the kind of stalk pulled. A thin stem indicates a flat, empty wallet; while a fat one means a prosperous year, a full wallet. If a married woman pulls a straw thicker in the middle, she will have a baby next year. • While seated at the table, look at the walls where the candlelight casts the shadows of those dining. If your shadow is large, wide and of the whole person, the year will be good, there will be no illness, everything will go well. If the shadow lacks a head, a terrible calamity will occur; if it is skinny, unclear and wavering, the year will be difficult. After the meal, everyone leaves the table to go to sleep or to the midnight mass, known as Berneliu Mišios (“Shepherds’ Mass”.) The food is left to stand overnight. It is believed that the spirits of deceased relatives or loved ones will visit the home during the night and the table set with food would make them feel welcome. It was believed that the baby Jesus allows the souls of all the departed to return to earth to visit their families. The evening of Kucios is filled with many traditions for either predicting the future or assuring success in the year to come. Most of these traditions predate the coming of Christianity to Lithuania and, as such, are of pagan origin. 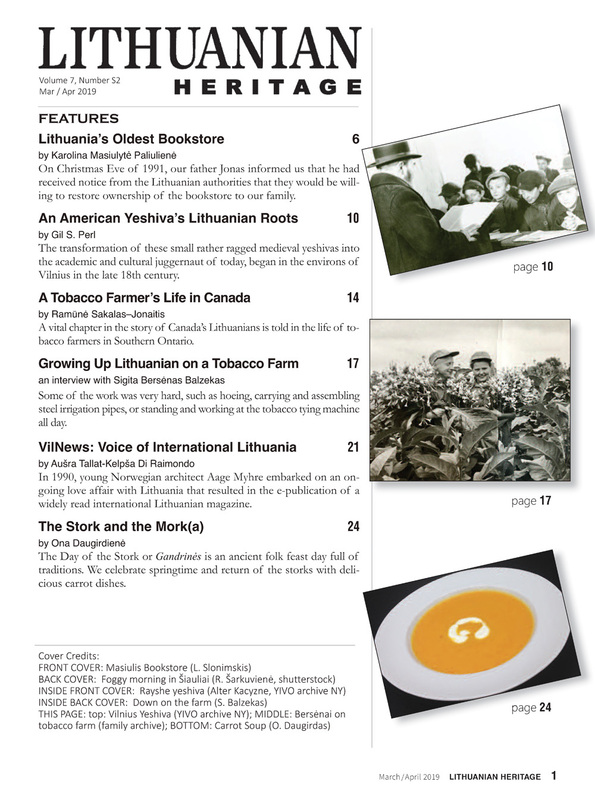 On Kucios, as during many other Lithuanian feasts, much attention was paid to wedding themes. Many of these rituals involved the unmarried maidens in the house. A great attention was also given to farm animals. This was to assure their health, fertility and breeding success. 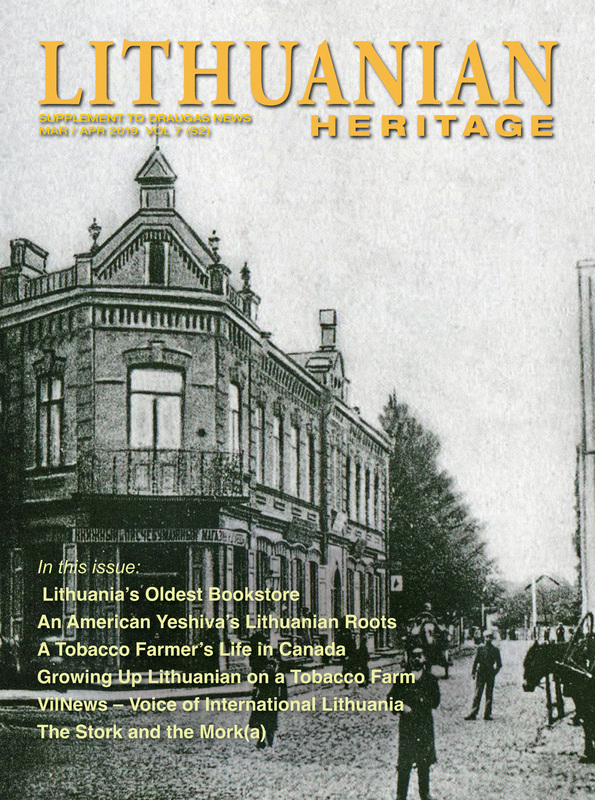 Sources: Wikipedia; Lithuanian Customs and Traditions by Danute Brazyte Bindokiene; Encyclopedia Lituanica; and others. Next į sveikatį! To your health!